Scripture teaches us that every time God has appeared to man it has required great sacrifice, the sacrifice of their idols. If a man is to break with the world here is where that break will happen – the times when we lust for our old prison cell and our old gods, and we long to be defeated just one more time, to be the child of irresistible desires. But radical faith places us in the position of God versus slavery. When God appears He demands the whole man and only a severe faith will suffice to break the chains and open prison doors. I will not talk about compromise because we all know very well who the slave driver is and what holds us captive. There is no need to itemize our idols, the issues are all the same; when a man comes to Christ He bids him come and die. If a man has many idols or only one, death is all the same, death is death. So, let’s not talk of half measures or of a faith that requires nothing. The faith that defeats the world is not impotent or hollow but radical and deadly; faith demands our life and anything less is just compromise, shame, and friendship with the executioner. But, how is this faith represented? Faith, the only kind of faith, pictured in the Bible, operates at a whole different level. First of all, it is a re-creation of man, a man without fear, whose roots share the fertile soil of past saints and a true history, freemen, capable of standing up under fire because they are motivated by a profound belief and trust having confidence in a certain future. They are not necessarily charismatic individuals but their presence is felt wherever they are regardless of how dangerous the situation may be to their own lives, and they encourage others to follow. The essential job of the faithful is to be, as Isaiah and Paul said, “Men.” Another level of faith is to acknowledge the historical occurrences when Christianity has gotten off on the wrong path going the wrong direction. Science and the intellect cannot bring us to this point. What is needed is spiritual clarity and sanity along with the courage to make aware, even though the awareness is painful and touches a raw spot. The fake history of Christianity and America, as it is spoon fed to children in both public, private, and homeschool, is unacceptable. Having the correct and inspired understanding of the New Testament puts to flight the demons of patriotism, denominationalism, and constitutionalism built on Old Testament rule of law. Where does this kind of faith lead to? True faith leads to separation, i.e. exodus, and exile, i.e. “In the world but not of it.” Every true believer must voluntarily submit to leaving this hostile environment, i.e. Egypt, and acknowledge his position as an expatriate and alien. Our witness to the world is that we have placed ourselves in direct contradiction to its positions. While the whole world is stampeding in fear to escape death we Christians have already taken our exodus and have no part in their flight. Our exodus is our repentance from past friendship with the world and its fake history and desires. We will not follow the stampeding masses nor will we be afraid nor will we become refugees, because we are exiled refugees already who have fled to Jesus. We have no haven except that of Jesus and our exile is in the very place where our God is despised and hated, and if we are thinking of that place from which we have gone out of we will fabricate opportunities to return. True faith leads us to exodus and exile. I have been told by past associates and family that I should settle down, but contrary to all of that “good” advice, we do not have to settle down. But, what does that look like, this settling down? What really is meant is that we should get organized in our community, our class, our political system, or the economy and affect the world by the world’s means. Isn’t the first and last act of faith to declare that we are strangers and exiles in the world and to its means. The adventure of faith may mean pulling up stakes and like Abraham abandon everything; Moses, too, left everything, country, wife, and occupation. When God calls us He will, at some point, test our allegiance and prove our beliefs. He will not call us into a fight with the world or into seclusion or a monastery but will call us into exile and prove our loyalty. 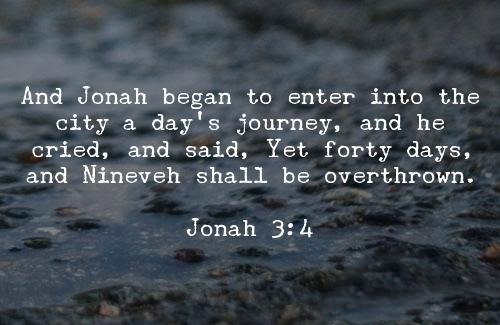 As long as we are adapted to this world, accepted by it, integrated into its activities–politics, policing, military, etc., even its holidays–we are of the world and our exodus is a sham. What does faith have to do with our professional functions, careers, social activities, things the world considers normal, conscientious, efficient and good for hard-working citizens to do? What Christian has not come head-to-head with Christ’s words, “You, come and follow Me” and had to wrestle with their faith? Levi left, abandoned his publican’s money box, his office, and pride; he doesn’t even go tell his wife or family. The instructions of Jesus is to “Let the dead bury the dead.” Isn’t Christianity just as radical today as it was then? This is exodus and separation from the world, this is following Jesus who had “Nowhere to lay His head.” But, what will become of us, those who have left everything Lord? “What is that to you, just follow Me.” Our faith is gauged on this exacting demand and no compromise is allowed. We claim we are ready to follow Jesus while keeping a little nest egg, some insurance against a “margin of error” and a few connections and bridges back to safety. Faith calls upon us to leave the world and its works. If we let old age and death do the job of separating us from the world, if we just let our lives fade away with the decline of our strength and submit to mere fate, we will have thrown away all of our chances. That will be our demonstration that we were nothing more than objects in the hands of Time. Rather than giving to the world the opportunity to define who we are we must choose the time for the break, it must be our decision and the announcement made, the stakes pulled up, and no looking back at society, people, states, politics, technology, careers, or anything. We must break with these things, not necessarily because they are evil, but so that the world can hear the strange word of God spoken from the center, from one who is exiled in the world but not of the world. The point is to create a dialog with the lost and not to retire to the desert, by one who has placed their self outside of this world, being at once close-by yet at an infinite distance. Nice Steve. Thanks for.the encouragement. Merry CHRISTmas! Rev. 18 warns believers to remove themselves from the world and church system that is an affront to God. I have often asked my self how do I accomplish this in a way that will.satisfy a holy God? In the 40 years that I havebeen born again and aware of the evil of the world and non-believers who.occupy it my behavior has been radically changed. More ugly than the behavior of non-believers is that of those who.claim to believe but insult God with posturing and fake reverence for the commands of God. God has enlightened.anababtist believers with the true meaning of obedience. They are not known by the world for thier correct interpretation.of scripture but rather for thier dress, mode of transportation and other less signifigant aspects of thier existence. The world doesn’t want the truth and niether does the apostate church. We must therefore.be.patient, willing to.wait upon the Lord for his timing in these.perilous times. The day will come when some will.come to understand that the butchery of the world system is a.dead end road for those who trust Mammon over God. Perhaps then the testimony of anababtist believers who understand the futility of bloodshed will.be heard by a dying.world.